Are you looking for a label printer but are just not sure how to decide on the right one? We have put together guidelines below in order to help you make a more informed decision. 1. How many labels will you need on a daily basis? It goes without saying that the more labels you print, the more heavy duty your label printer needs to be. There are generally three types of label printers desktop label printers for small to medium needs, commercial label printers for medium to heavy needs and industrial label printers for heavy duty, continuous operation. 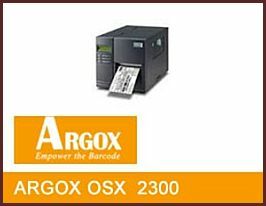 Should you be printing labels on a daily basis at a high volume then an industrial label printer such as the Argox X-1000V, X-2000V, X-2500 or G-6000 would be your best options. For medium to heavy needs you could consider the Primera LX-2000, LX-400 and LX-900 and for light duty needs you could consider the Zebra GX and ZD500. However make sure you speak to a sales consultant in this specialised industry that can assist you in making the right choice for your needs. There are various aspects you will need to consider such as will you be printing logos? What is the size of the smallest font you’ll be printing? Do you need high resolution for graphics? For example, standard printers come in 203dpi (dot per inch) but for higher quality or smaller fonts you may need a 305dpi printer. For cosmetic or pharmaceutical industry labels you may need an even higher resolution like a 600dpi printer. 3. Do you need colour or black and white label printing done? It goes without saying that if you’re printing labels such as ingredients, it is probably wiser to use a black and white printer and then add any colour layers you may need in order to reduce costs. Colour label printers should only be bought if it is absolutely necessary. 5. How much are you willing to spend on a label printer? In many cases this may be your first consideration, however you must be sure not to compromise quality with price. If you have the budget it is probably wiser to go with newer technology, as over the years printers have become more efficient and cheaper to run on a continuous basis. Older label printer parts may be obsolete and when it comes to replacing parts you may struggle to find them. Rebsons Labels stocks and supplies a variety of Industrial Label Printers for purchase. All printers are developed and designed to the highest standards, backed by a worldwide guarantee from an international company. Call us today for a detailed quote.